French Fries, buffalo wings, mozzarella sticks and fried yuca/cassava. Croquette stuffed with seasoned shredded chicken. Includes a chicken and cheese and a bolinho de mandioca croquette with unique flavor dipping sauces. Pork chop grilled to perfection, smoked mild Brazilian sausage and succulent top sirloin steak seasoned with sea salt. 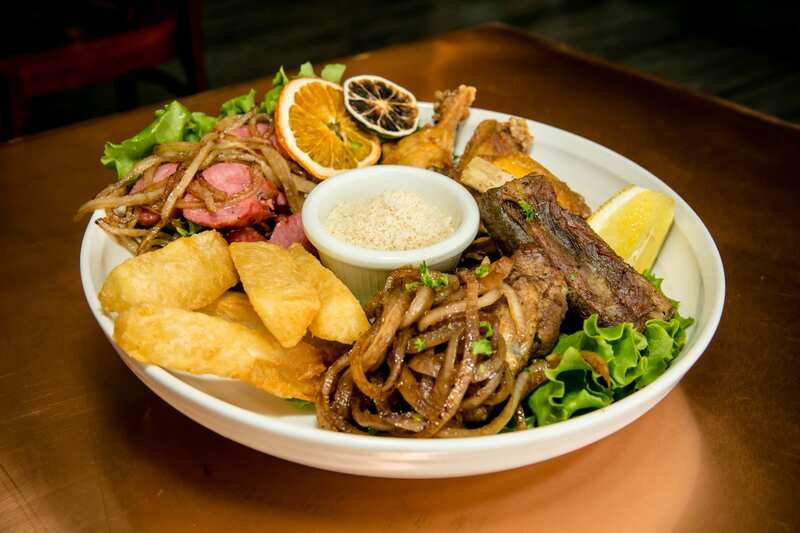 Served with rice, tropeiro beans, yuca, plantains, vinaigrette salad, chimichurri sauce and Rose Comeketo sauce. Grilled top sirloin with secret house seasoning topped with onions, red and green peppers. 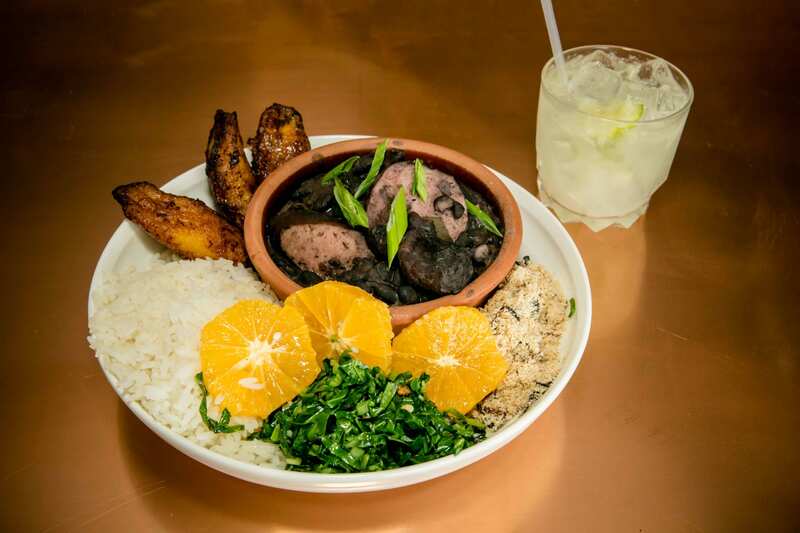 Served with rice, tropeiro beans, yucca/cassava, plantains and vinaigrette salad. Our fried chicken tenders served with fries. Grilled chicken with romaine lettuce and Caesar dressing in a wheat wrap. The healthiest pleasure in the universe, the rich antioxidant fruit from the amazon, our acai comes topped with sliced bananas, granola and drizzled with honey.